Mobil Taumarunui, our friendly staff offer friendly service. We fill LPG bottles, sell firewood, ice creams, cold drinks, sunglasses, and have a handy range of accessories and groceries. Our Mobil “SMILES” driver rewards system is easy to join, easy to earn, and easy to redeem. Please call in and see us. Fly My Sky’s business is flying people to rural, remote and mountain destinations. Something they’ve been doing for 32 years. Fly My Sky to take you, including your bike, to the bike or hiking trail and launch yourself into a Ruapehu District remote area adventure. Keith McKenzie QSM, our helicopter pilot and CEO, knows every turn on the trails, rivers and hills, after years of working with government agencies and farms in the area. Or choose Fly My Sky for your trip between Auckland Airport and Great Barrier Island, for a unique and unforgettable island experience. Great Barrier Island, their most visited plane destination, is beautiful with remote hills and sandy beaches. Scheduled flights run 7 days all year round. A flight with Fly My Sky, helicopter or plane, will allow you to forget the crowds and take a step back in time to New Zealand of old, to peace, quiet and enchantment. You’ll get a sense of New Zealand and history around every corner. Fly My Sky is a Qualmark Endorsed airline. As testament to their love of their natural surroundings, they also boast a Qualmark Enviro Silver Award, ensuring that their impact on the environment is reduced significantly. 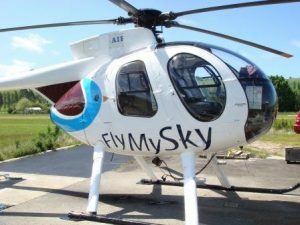 Plus Fly My Sky was a finalist in the 2012 Auckland Business Awards\n\nMake the best choice – Choose FLY MY SKY to carry you away to your Great Barrier Island or remote New Zealand country adventure. 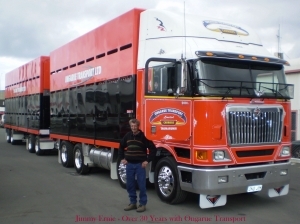 40 Years Trucking in The King Country. General carrier providing efficient services to the Farming Community Transporting all classes of Livestock, Wool, Bulk Fertliser and Bulk Spreading.